A couple months ago I wrote a short post on the virtues of Vitamin D. I would like to add to that a bit. I was at a party this past weekend and my friend who went through breast cancer treatment (surgery, chemo and radiation) about a year ago mentioned that her doctors attribute her breast cancer to a Vitamin D deficiency. My first reaction was to pass along more information on the Vitamin D/Breast Cancer link to our readers. There's a paradigm shift going on in medicine as new research reveals a far greater role for vitamin D. Vitamin D is not just for kids—or the prevention of rickets. Optimal levels of Vitamin D (40–80 ng/ml) enhance the creation and functioning of healthy cells throughout the body. In addition to protecting the bones and boosting the immune system, studies show that Vitamin D helps prevent certain cancers, including breast, ovarian, prostate and colorectal. Exciting new research shows that, in the United States alone, thousands of new cases of breast cancer could be prevented every year if more women had optimal levels of vitamin D.
A study conducted by Cedric Garland and other prominent vitamin D researchers determined that women with vitamin D levels above 52 ng/ml have half the risk of developing breast cancer as those with 13 ng/ml! Garland (et al) estimates that 58,000 new cases of breast cancer in the United States could be prevented per year by raising vitamin D levels to 52 ng/ml. Imagine what the global impact could be! A simple blood test is all that's needed to find out your vitamin D level. Five years ago, a range of 20–100 ng/ml was considered normal. Just recently, this range was raised to 32–100 ng/ml. Make sure to ask your healthcare provider what your actual vitamin D level is. Too often women are told that their levels are normal, which is not the same as optimal. 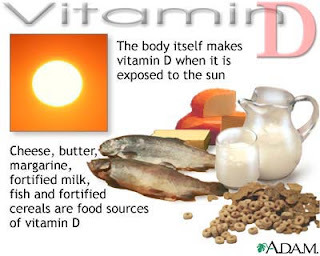 If you're deficient, the best way to boost your vitamin D quickly is to supplement with vitamin D3. Initially, you may need to take 5,000 IUs per day. After establishing a healthy level, I recommend supplementing with 1,000 to 2,000 IUs per day—it's hard to get all you need from food. Some healthy fish provides 300 to 700 IUs, but milk only provides 100 IUs per glass. Thank you for the information on Vitamin D, it was informative! I agree! We (including my 4-1/2 year old son) all take a 5,000IU vitamin D3 everyday. Oh, and it's from a MI based business! Even here in Cape Town, where we have mild winters, I take a vitamin D supplement in winter. In summer I make sure to spend at least 30 minutes outside every day.